Virtual offices are becoming more common around the country, and it’s no mystery why. The business world is quickly changing. It’s becoming more of an online society, and that means a lot of freedom and independence for job positions and people who have never had it before. The online world enables people from all over the country to work together, when they might not have even had the opportunity to meet before. This means you can start a business from anywhere in the country, and can be hugely successful from wherever you are, if you do it correctly. Part of operating a “remote” business correctly is having the right resources. You’ll need to make sure that you’re set up with all the supplies you’ll need at home, or wherever you’re actually doing your work from. On top of that, your business will need an address and phone number to operate from. “Easy.” you might be thinking “I have a home address, and a cell phone”. However, this can be problematic for a few reasons. A virtual office is a much more elegant solution. Here are 3 of the most important things they can provide. The first reasons why using your home address and phone number might be problematic should be the most obvious: it can be dangerous to put your personal information out there, and once it’s done, it can’t be undone. Using your home as an office is one thing, but it’s important to protect your address and phone number in case of a safety issue in the future. Renting a virtual office will give you a separate phone number and address to list your business under, and any packages you get there will be forwarded over to you. You just never know what that buffer might save you from in the future. One of the major changes the online world has brought is the ability to Google search any address. This brings up the second reason using your home address for a business is an issue. If you give a client your address and they look it up online, it’ll show your home, which might give some people pause to working with you. As serious as you might take your business, it might not look that way to someone who searches you and sees nothing more than a residential home. Virtual offices look much better when your business is searched online. A professional looking building can go a long way in making your client trust you. If you live in a city that no one has ever heard of, you might be considering making a move, just to give your company some legs to stand on in a big city with a professional reputation. However, if you want to remain in your current city, with it’s quaint and quiet feel, and even nicer property prices, you don’t have to move! 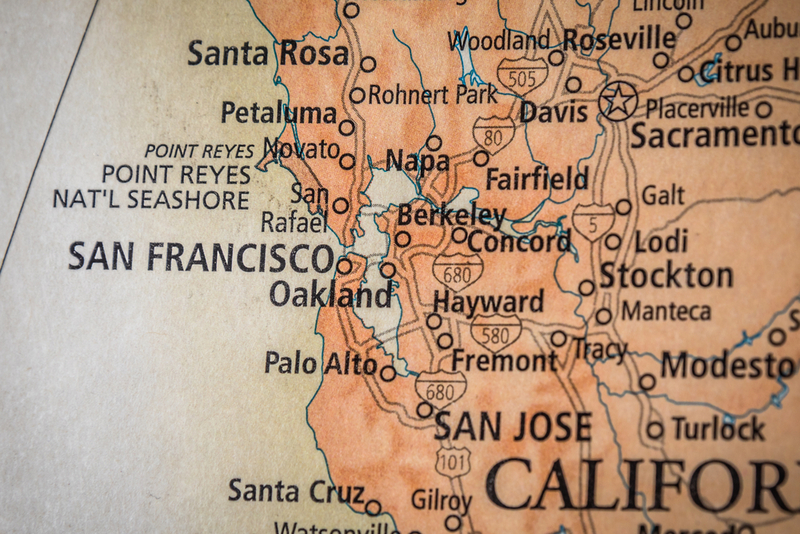 Renting a virtual office in the San Francisco Bay Area means your company can have a Bay Area address and phone number, while you stay nestled in the comfort of your hometown. It’s the best of both worlds. Inbound Marketing & Website design by Rhino Digital Media, Inc.